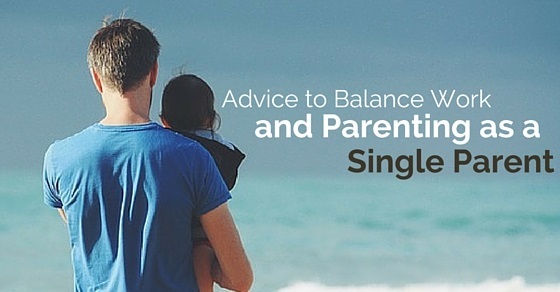 How to Balance Work and Parenting as a Single Parent? Think about the family or friends or neighbors who can just help you if there is an emergency at home or your personal emergency. Always maintain relation with them so that they can support you whenever there is an emergency alarm at your workplace or home. You may not always be available to your children, at times you may be in urgent seminar which is very much useful for your career, in that case you can just text your friends and just be ready with an alternative option to take care of your children. Whatever happened, is happening your life, do not distract yourself as you are wholly responsible and carrying such burden to handle a lot of work. Thinking about the past and crying for your present is not the solution to take forward your life. Just utilize such time for good things that makes you live in this situation. Motivate yourself to stand up for your family also to concentrate on your job. Do not expect sympathy from others, since they are not going to sort out your problems. Only you know the purpose why you should work hard so in case of depression, think of ways like having a counseling so that you may find a way to overcome and focus on your life. Once you are done with your office work. Allocate time for children, how they are going with their lives and their interests, achievement, guide them and let them know you were watching at their movements. Often take them to recreation places, have some fun with them and spend your valuable time to enjoy with children, that makes them feel happy. Fulfill their needs, also allow them to do their work so that they also feel responsible person in the family. If you do not have much time to take care of their daily needs appoint a maid or a nanny by investigating about them thoroughly. Understand the working hours and just divide time for work, and time for personal. If you are provided with a week off by the organization. Plan with your children what is the immediate requirement in which your presence is needed by them. Know your flexibility in your workplace. Talk with your manager in case you had to attend some personal work which is most important and request him so that you will be permitted to join your family and also let him know how can you complete your works. This communication makes you feel comfortable. Sometimes you wanted to find time for yourself. Go on a holiday and just engage yourself in an activity which makes you feel better. Do things which you love and enjoy, find your stress buster and just keep aside things for a while and gain strength and passion to work again. This makes you ease and you feel quite interesting with your life, the narrow path fades and you can look at things simple. You will boost up with a positive attitude and go ahead. The cause of imbalance of your work and parenting is stress. If you allow it, then you will end up with failure. Love what you do. But do not compel yourself . Eliminate stress in your life, then it paves way to equal your work life. Find reasons what is making you terrify at work also at home. If you work on them, then your life will be balanced. We should perform our duties at work also at home, in order to make our life peaceful and balanced one must apply above tips in their routine life. Try to look things at the big picture then you will understand the necessity , you will start playing your role with more responsibility. Do not worry and depress but start enjoying it then you can manage your parenting well and be a lovable parent to your children also a sincere employee at workforce. Next articleHow to Avoid or Have Less Awkward Conversations?